Radio interview: "What's New in Diamonds: GIA Certified Natural HPHT Diamonds"
Blog: "3 Types of Diamonds You Didn't Know Exist (with videos!)" Radio interview: "Bringing GIA Certified Natural HPHT Diamonds to Light"
Manufacturers and distributors of High Pressure High Temperature (HPHT) processed natural diamonds are claiming an opportunity for their small, specialized niche. Not to be confused with HPHT treatments or synthetics, advocates of HPHT-processed natural diamonds are working to change the perception of their product. There are two types of HPHT diamonds, explained Gerry Hauser, CEO of Hadar Diamonds, a distributor of HPHT natural diamonds. The first is a lab-grown, or synthetic, diamond that is created using HPHT by simulating the conditions by which a natural diamond is produced. The second is a natural diamond that uses HPHT to change the brownish color of the stone to achieve its full potential. HPHT processing of type IIa diamonds simply “de-stresses” the natural diamond. Below photo: An Emerald cut ,13ct , D VVS2 , GIA certificated natural HPHT diamond. This natural diamond surged from the volcano with a brownish hue. 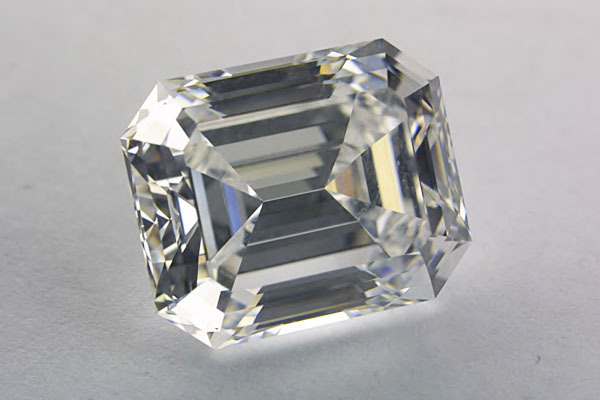 After mimicking the heat and pressure (HPHT) applied by Nature, the diamond turned into a D color.